Pleasant Valley Hospital December 2017 Employee of the Month Dee Dee Donahue is pictured with Amber Findley, executive director of nursing services, PVH CNO, and Glen Washington, FACHE, PVH CEO. Pleasant Valley Hospital January Employee of the Month Jonathan Beaver is pictured with Terry Lucas, coordinator of cardio-respiratory services, and Glen Washington, FACHE, PVH CEO. POINT PLEASANT — Pleasant Valley Hospital (PVH) recently announced its employees of the month for both December 2017 and January. PVH reports the Customer Service Employee of the Month for December is Dee Dee Donahue. She has been employed since July 2013, as a registered nurse. She currently works in the ICU. Donahue was nominated because a patient called the nursing supervisor and wanted to nominate her. She cared for the patient while she was in the ICU. The patient stated that Donahue was kind and compassionate while she was “terribly sick and miserable.” Donahue resides in Gallipolis and enjoys spending time with her girls. PVH’s Customer Service Employee of the Month for January is Jonathan Beaver. He has been employed since May 2015, as a registered respiratory therapist. Beaver resides in Gallipolis with his wife, Molly, and their cat, Louie. Jonathan and Molly enjoy working out together and taking trips to the beach. In this recognition, each received a $50 check and a VIP parking space. They will also be eligible for the Customer Service Employee of the Year award with a chance for $250. 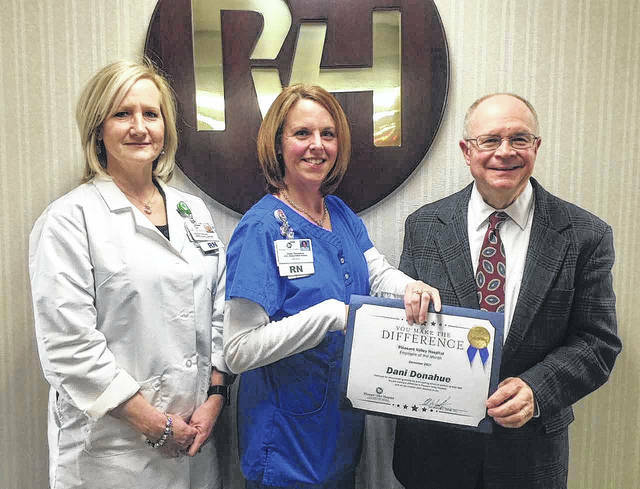 https://www.mydailytribune.com/wp-content/uploads/sites/42/2018/01/web1_1.25-PVH-1-1.jpgPleasant Valley Hospital December 2017 Employee of the Month Dee Dee Donahue is pictured with Amber Findley, executive director of nursing services, PVH CNO, and Glen Washington, FACHE, PVH CEO. 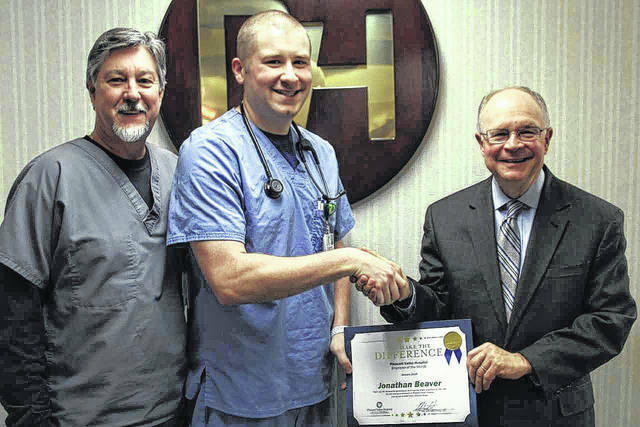 https://www.mydailytribune.com/wp-content/uploads/sites/42/2018/01/web1_1.25-PVH-2-1.jpgPleasant Valley Hospital January Employee of the Month Jonathan Beaver is pictured with Terry Lucas, coordinator of cardio-respiratory services, and Glen Washington, FACHE, PVH CEO.